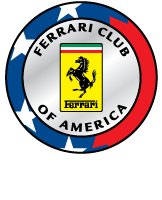 Welcome to the home of the Kansas City Chapter of the Ferrari Club of America. 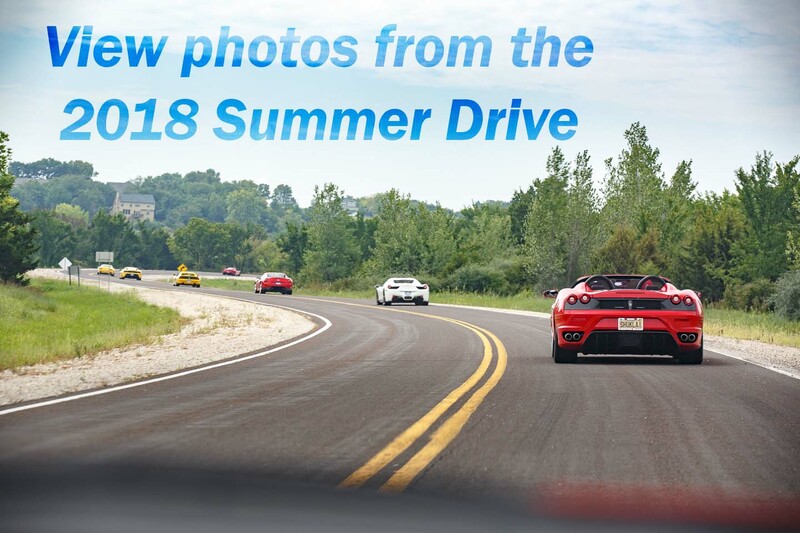 Whether young or old, Ferrari owner or not, our members share a common passion for Ferrari. 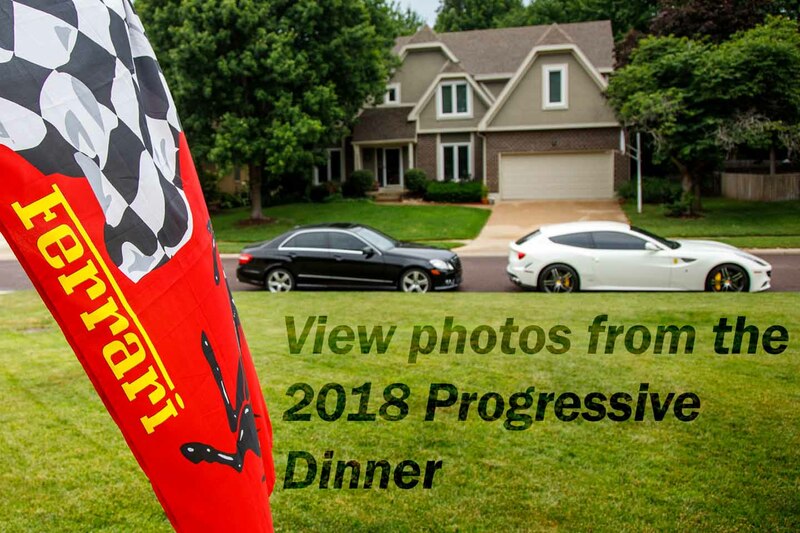 Our monthly activities include social, touring, and track events intended enhance each owner's driving skills and knowledge of their automobile. 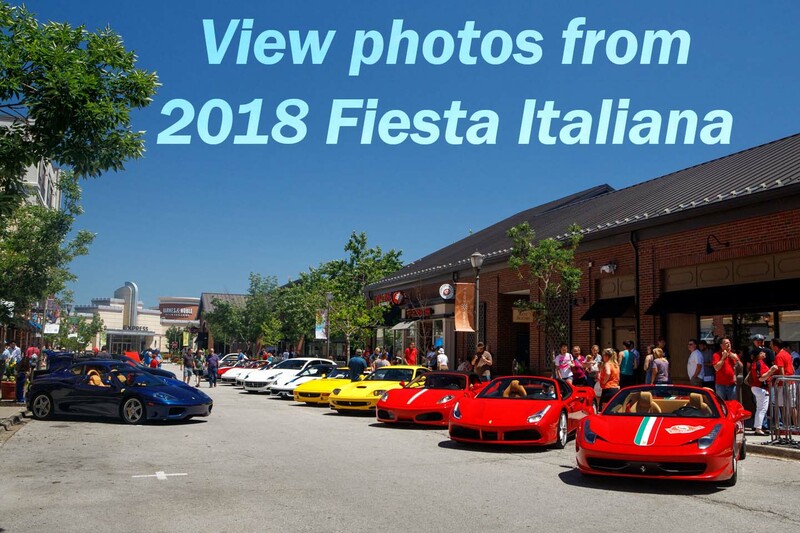 We are one of the most active chapters in the Ferrari Club of America hosting at least one social or automotive-related event each month. If you have questions about the club, please feel free to contact one of our chapter's directors. Are you interested in joining us? Please see our membership page for more information. 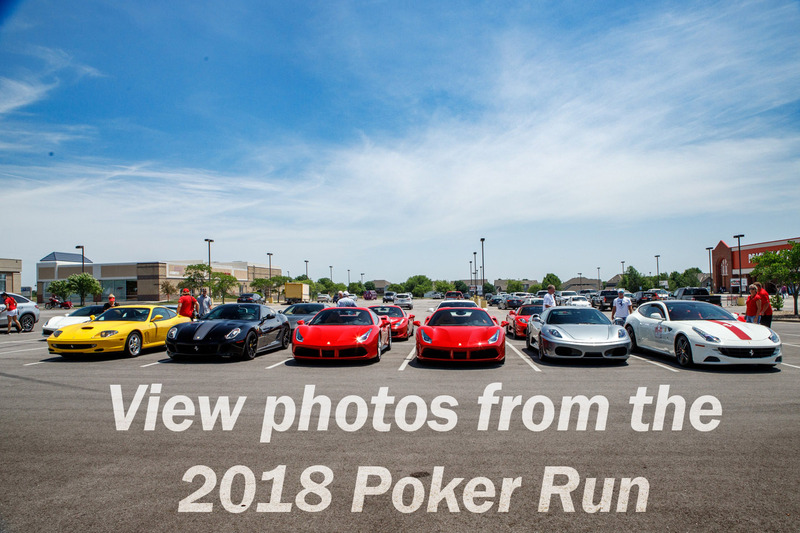 One of the most attended events, drive to 3 different members garages!! Enjoy driving with friends and seeing different garages!! Starts at 2pm!! Meet us at the first garage - Daren & Eric has graciously opened their garage for us! !